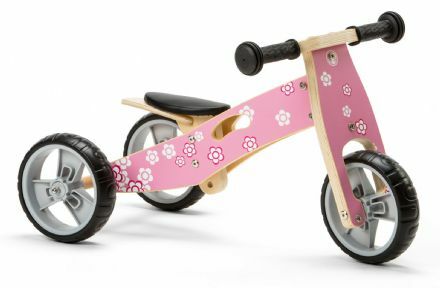 This 2 in 1 balance bike is designed with young children in mind. 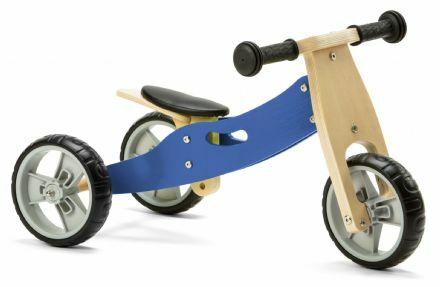 Suitable for toddlers (EN71 tested for 18 months+), the bike is smaller than an average balance bike and has the unique option of first being a trike, then converting to bike. 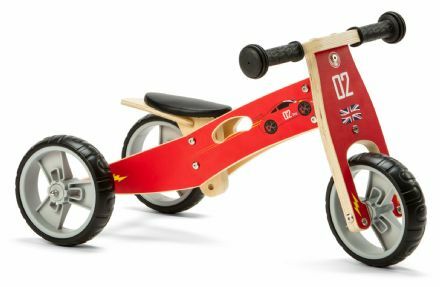 Perfect if you are unsure whether your child will like 2 wheels. Safety tested for 18 months upwards. Puncture resistant 17cm diameter Eva foam tyres (not air filled). 2 in 1 option. Supplied with 3 wheels and spacing bracket so can be constructed as 2 or 3 wheeler.